Here is a Meme representing the disappointment we all feel about this new engine sound. 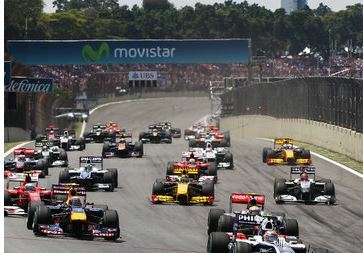 Here are the different scenearios where Vettel or Alonso will win this year Formula 1 championship. Any scenario where Vettel is fourth or higher gives Vettel the title. The final race is held at the Interlagos circuit in Brasil, a circuit that have gave us many incredible races rising emotions to the top. Just to mention a few from the near past, Raickonen Championship in 2007 and Hamilton’s in 2008 where the tittle was not decided until the last corner of the race. Kun Aguero is a Premier League player known by his immense talent as a footballer. Just last year his scored one of the most dramatic goals in this league history. Maria del Villota have reappeared after her terrible accident back in July 3rd. She have told the press that because of the lost of her right eye her life have changed dramatically. Maria said that she remember everything about the accident and also talked about her reaction when the doctor told her she would lost her eye. At first she was very disappointed because that will meant losing any opportunity to keep driving for the Marussia F1 team but, Maria have had some reflection time and realized that she saved her life and have many reasons why to be grateful. 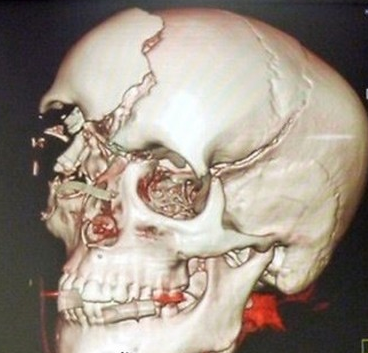 And indeed Maria has to be very grateful because the next image is from a 3D model of her skull with the damages that the collision caused her, you can see how the side of her right eye was smashed even though she was wearing her helmet. As I’ve said in a past post about the dangers of open wheelers, this is a risk that unfortunately these drivers have to take while the FIA come up with a solution for this mayor threat. 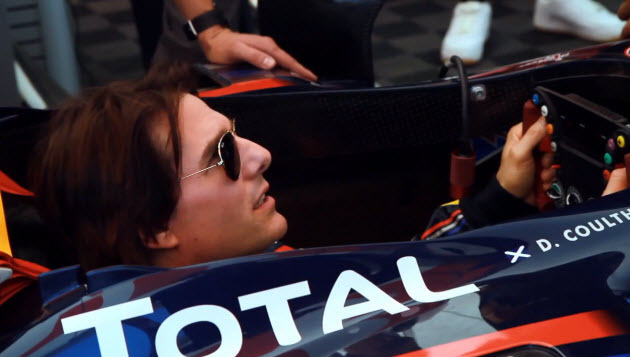 Tom Cruise who we all know by his passion for Scientology, show us in this video his other passion for doing risky things. To be honest I was quite impressive with the way he handle the car but also I have to say that it doesn’t seem this is the first time he have tried this. Or at least the way they edited the video make us believe that he just had one spin, when I know for sure he had more than that. After the run on the F1 he then climbed into a helicopter and did a loop, which is a very risky thing to do in these type of aircraft. One thing we know for sure is that this man like “risky business”… pa ra ca tam shushh! 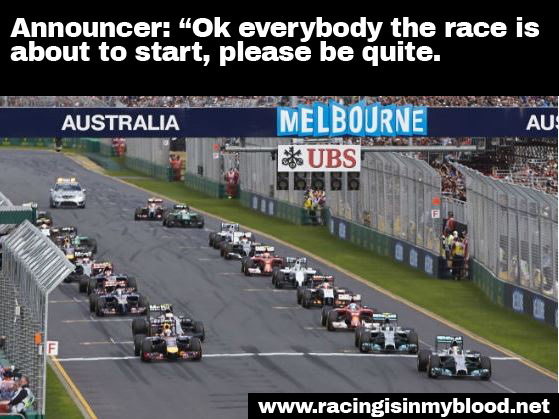 Today we are going to start a new series of Formula 1 memes to learn about the different situations from the circus in a funny way. 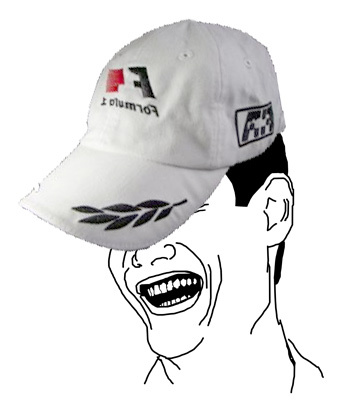 You can also send me your ideas @ oplus@racingisinmyblood.net From now on remember to check out the Formula 1 Meme category to view the latest. Today I found this incredible video of a kart race held at Trois-Rivières QC Canada. It is a street circuit with very narrow corners, a tunnel and some fast corners too, therefore it is ok to call it the Little Monaco for Karts. Watch the complete video and you will see why this tiny go karts are so dangerous, and why they have to be driven by professionals. 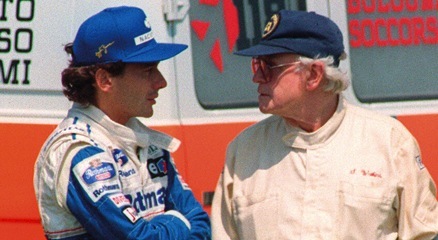 I will definitely pay to watch a race like this, fascinating stuff! !